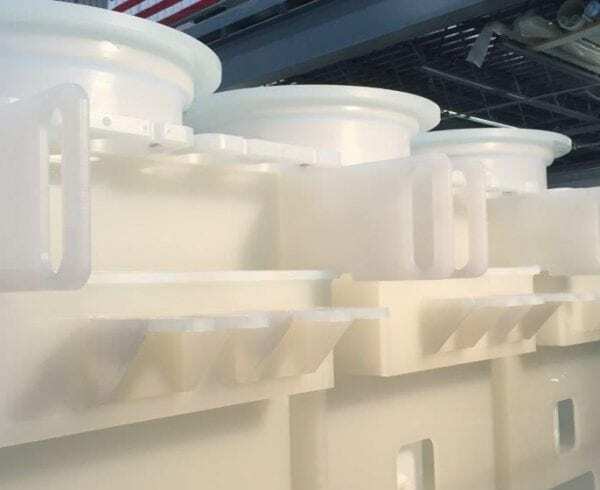 While there are options for contract manufacturing companies offering quality manufacturing services for metals, there are fewer who can provide the same level of quality and experience when it comes to plastic manufacturing services. Though metal manufacturing services are highly valuable and critical to every manufacturing sector, there are a variety of benefits that plastic manufacturing offers. Plastic offers a low-cost, flexible and durable solution to a variety of manufacturing challenges where other materials, such as metal or glass, may not be appropriate. And, with the right skills and expertise, plastics may also be fabricated or assembled in much the same way that other materials are. There are a few different types of plastic manufacturing services which we employ at Axenics, depending on the project scope. Our technicians are skilled in welding, bending and cutting a variety of components for use in plastic piping systems, and across several industries. Plastic, like metal, can be welded to join two or more pieces together, in order to form one component, or to join multiple components within a complex assembly. Plastic tube welding is often used when thermoplastics are being fabricated, since they should not be bound with adhesives. During plastic welding, a filler material is used to fuse the plastics together, especially if there is a significant difference in melting points between two or more plastics. Plastic welding can be done using hot gas, high-frequency vibrating, contact welding, or spinning. Specific equipment required for plastic welding depends on the project, the desired outcomes and the type of plastic(s) being welded. Our welders are capable of welding a variety of plastics, such as Polytetrafluoroethylene (PTFE), Polyvinyl Chloride (PVC), Chlorinated Polyvinyl Chloride (CPVC), Polypropylene (PP), and more. There are very few organizations out there with the level of skill and experience bending and welding Polytetrafluoroethylene (PTFE) that our technicians have amassed. Plus, the use of our proprietary N2 Saver allows us to save Nitrogen while performing hot gas welding, lowering the overall cost of our services. With the right expertise and skills, plastic tubing can be bent into a variety of precise shapes, similar to stainless steel. It’s important, however, to ensure that the appropriate amount of heat is applied, and consistently, to the tube being bent to avoid developing kinks, which can restrict liquid or chemical flow. Plastic tube bending is a great alternative to welding, since it eliminates the need for multiple fittings within a system or complex assembly. Bending tubing to a smaller radius also significantly reduces its overall length, resulting in a smaller assembly. For those looking to save on space, time and money, plastic tube bending is a great solution. 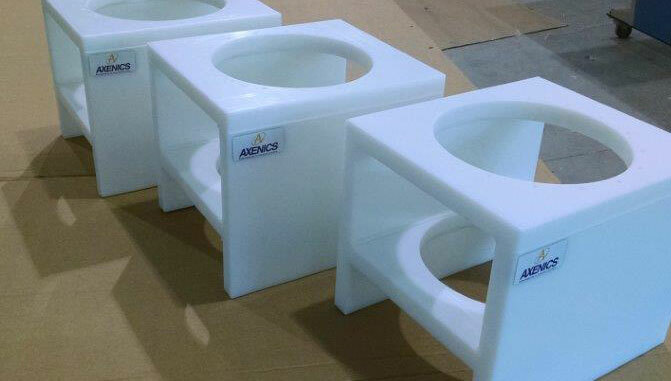 Axenics offers tube bending services for thermoplastic materials like Polytetrafluoroethylene (PTFE), Polyvinyl Chloride (PVC), Chlorinated Polyvinyl Chloride (CPVC), Polypropylene (PP), and more. We also provide custom tube bending services for complex designs as needed. In addition to plastic tube welding and tube bending services, we offer end-to-end plastic piping solutions, which provide a variety of benefits to the OEM. 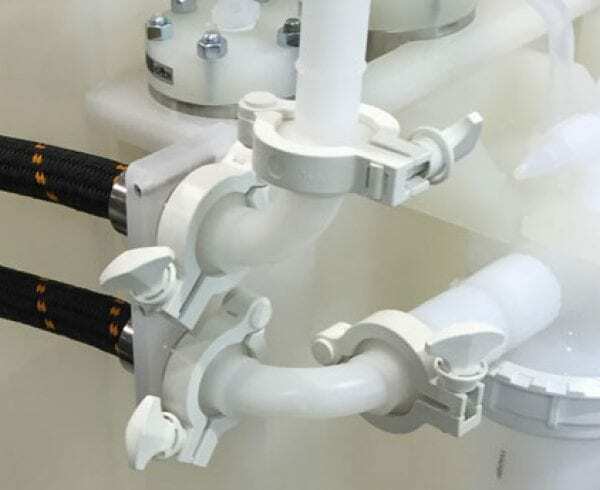 Axenics manufactures and direct-ships specialty piping kits for many of our clients, which reduces the need for custom tube bending to be done at the client’s site. Axenics’ plastic piping kits can be designed to customer specifications, and can include plastic tube bending, plastic tube welding and tube cutting to fit the client’s application. 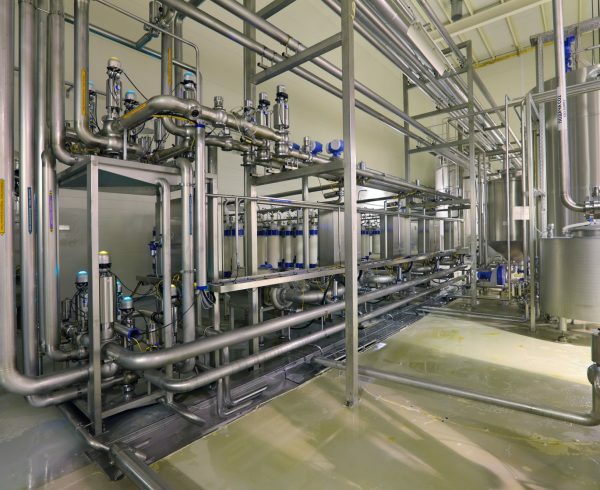 Specialty piping kits reduce production costs for our clients, who can be assured that the piping kits are manufactured in a cleanroom environment to ensure the highest levels of purity possible. In addition, since specialty piping kits are manufactured to meet the same specifications – and are identical to each other – they are easy to order and install. Further, because clients can order an entire kit with one part number, the risk of error is significantly reduced as well. Learn about the benefits of strategic outsourcing and working with a contract manufacturer.